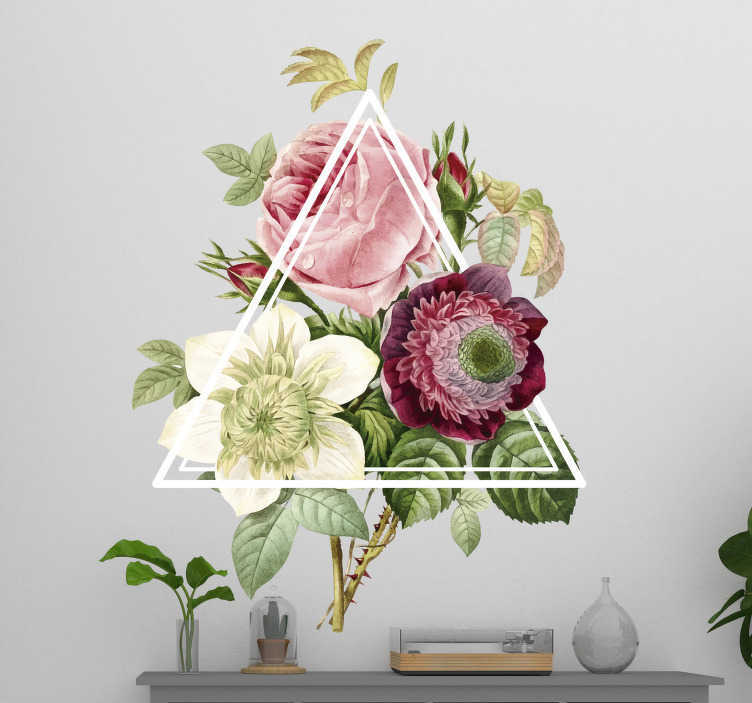 Decorate your home with some stunning flower themed decor with this fantastic floral sticker! Depicts a group of flowers inside a triangle, but bursting at the seams to get out! Ideal for those who are looking for something that little bit different with which to decorate any part of their home!